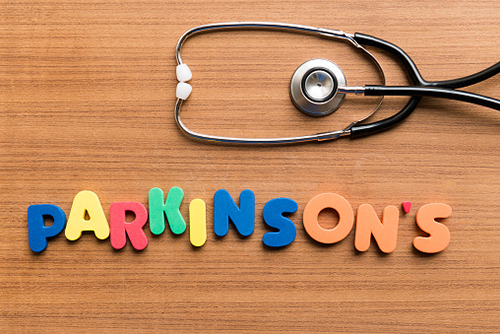 Researchers at the Rockefeller University and Columbia University have found two proteins that could offer protective effects against Parkinson’s disease. Parkinson’s is a degenerative condition where the neurons that release dopamine, an important chemical messenger, deteriorate and die. The affected neurons are mostly located in a region called the substantia nigra pars compacta (SNpc). However, there are dopamine-producing neurons in the ventral tegmental area (VTA) of the brain that aren’t affected as strongly. Why some groups of neurons are affected and not others has been a long-standing mystery of the condition, but the research team believes they have found an answer. In order to find the molecular changes and conditions that happen within specific neurons, researchers performed a technique called “translatome sequencing.” This is a complicated task that uses engineered lab mice to isolate and track the molecular messengers that take genetic information to the sites where proteins are made. By tracking the molecular differences between the SNpc and VTA, researchers could determine a cause behind why one deteriorated but another didn’t. It was assumed that the VTA neurons had some form of protective element the SNpc area lacked. Researchers discovered that it was the other way around. Two proteins, SATB1 and ZDHHC2 are present in both areas of the brain but have higher levels in the SNpc region. When these proteins were reduced in the SNpc area of lab mice, the animals experienced a Parkinson’s-like degeneration. Researchers believe that SNpc neurons are more sensitive, which explains why they need more protective proteins and why they are more vulnerable when the protection falls. The discovery opens the door to new avenues for Parkinson’s treatment revolving around replenishing SATB1 and ZDHHC2 proteins. The team also believes that their translatome sequencing approach could be useful for learning more about other neurodegenerative diseases like Alzheimer’s, ALS, and Huntington’s. Brichta, L. et al., “Identification of neurodegenerative factors using translatome–regulatory network analysis,” Nature Neuroscience, published online July 27, 2015; http://www.nature.com/neuro/journal/vaop/ncurrent/full/nn.4070.html, last accessed August 11, 2015. “Scientists probing molecular origins of Parkinson’s disease highlight two proteins,” Medical News Today web site, August 11, 2015; http://www.medicalnewstoday.com/articles/297958.php.